Keith Russell, Crystal Vasquez joining CBS11/Fox4 sports teams. These D-FW television hires were tweeted from the road last week. But now let’s make them “official” with a more detailed posting on unclebarky.com. CBS11 has hired Keith Russell to replace Babe Laufenberg as the station’s lead sports anchor. He’s already been in place for a week after starting at the station on Tuesday, March 31st. Russell last worked at Philadelphia’s WXTF-TV as a weekend sports anchor and host of the Philadelphia Eagles’ pre- and post-game shows. 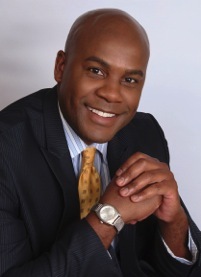 He’s also been on camera at ESPN, CNN, Philly’s WPVI-TV and WRC-TV in Washington, D.C. as a news anchor. Laufenberg, who had been with CBS11 for 17 years, left the station in mid-January after the two sides couldn’t agree on a new contract. He’s under a standard six-month non-compete clause that will keep him off the air in D-FW until July. He’ll continue to team on Dallas Cowboys radio broadcasts with Brad Sham. Fox4 also is adding to its sports department with the hiring of Crystal Vasquez, who’s scheduled to start on April 20th. A New York-based Fox4 spokesperson says she’ll be strictly an off-camera producer, even though she’s been on-camera at her most recent station. 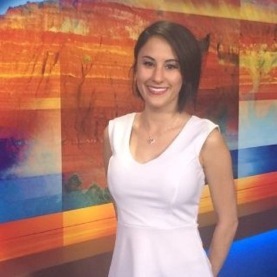 Vasquez arrives from Amarillo’s KVII-TV, where she’s worked as a weekend sports anchor and weekday reporter since March of last year. The University of North Texas graduate also spent a month -- in November 2013 -- as a “contributing writer” for the Dallas Mavericks official website. Those who have been watching D-FW television news for more than a few years might well remember former NBC5 and CBS11 reporter Clif Caldwell, who was dropped by the latter station in January of 2008. A commercial with Caldwell in this role has been airing in Houston. He’s speaking on behalf of Comerica Bank -- and pretty effectively so. The spot on youtube does not carry any disclaimers. Here it is.